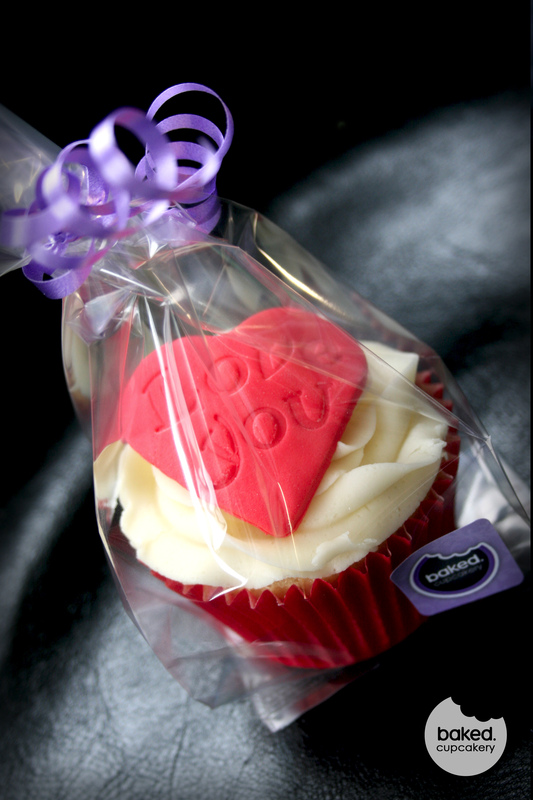 Quick peak at our Valentine Cupcakes… there may be more to follow depending on how busy the bakery gets! 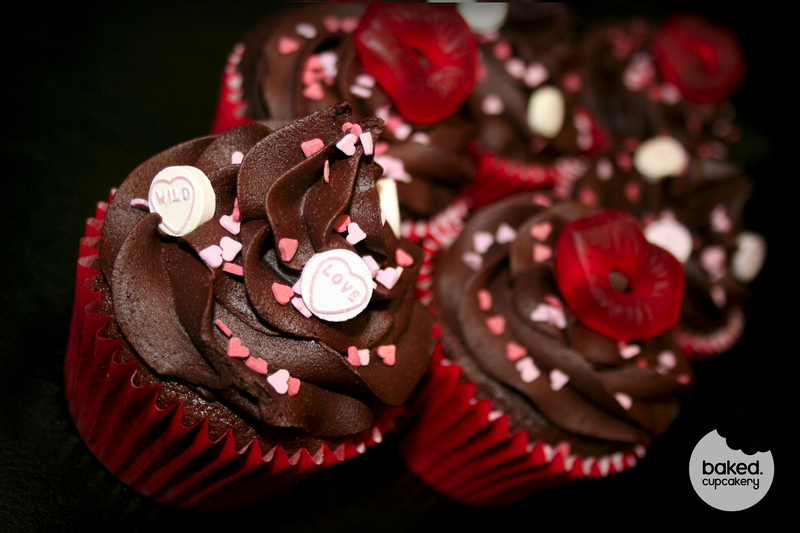 These chocolate Valentines cupcakes are sure to leave a smile on your Valentine’s face – and yours too if they’re into sharing. 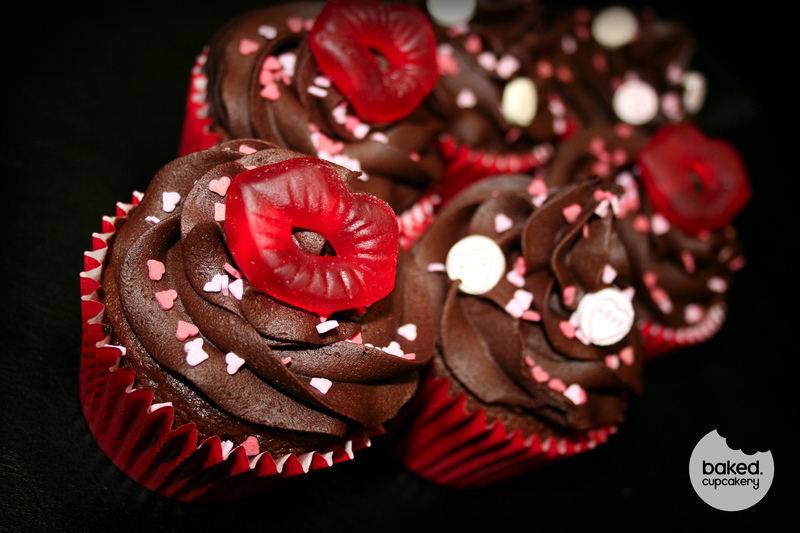 Delicious chocolate cupcakes with mini heart sprinkles, ‘Love Hearts’ and Cherry Lips. 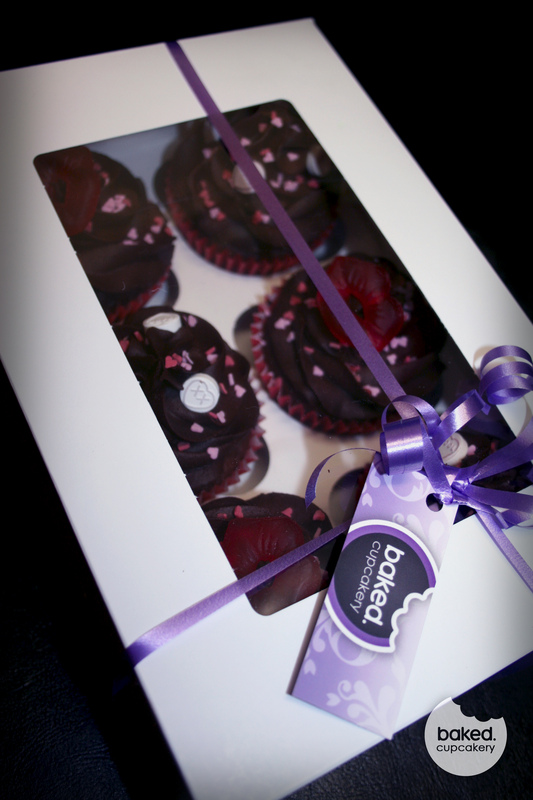 Available in boxes of 6, 12 and 24 (depends on how much love you want to give!) Boxes come gift wrapped and make the perfect present. 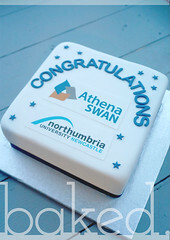 FREE delivery/collection in Sunderland and from £4.00 to surrounding areas. 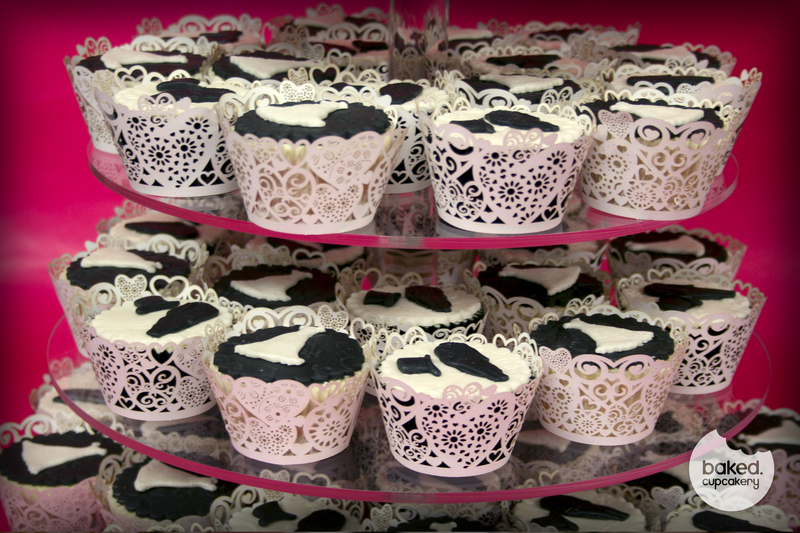 Cupcake towers look stunning at weddings and can be tailored to any taste, theme or whim! 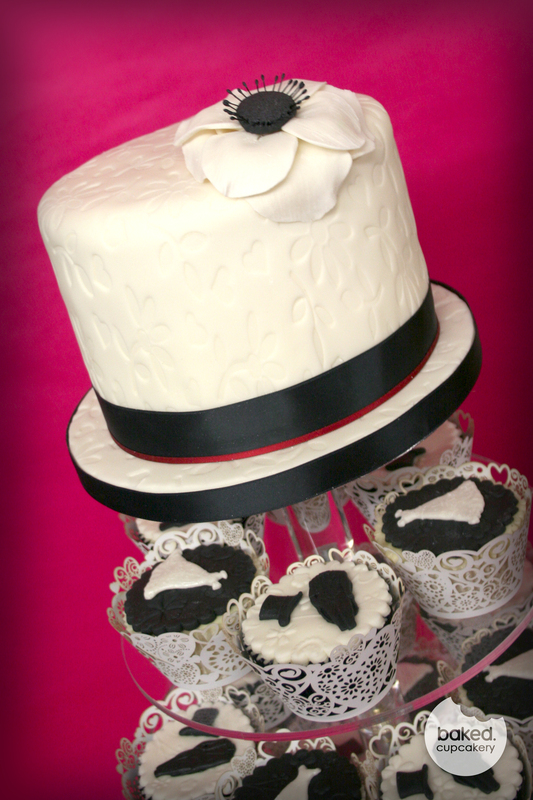 For a New Years Eve Baked created a 40s inspired Cupcake tower with matching 6″ cutting cake. 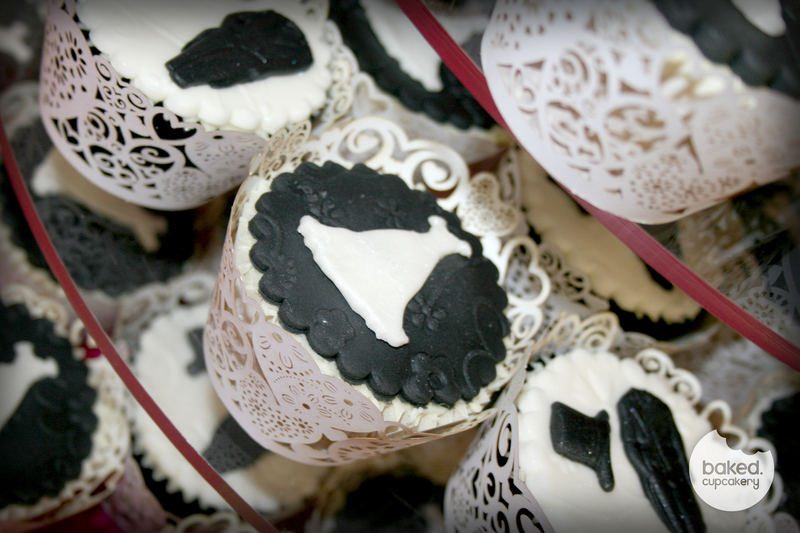 The cupcakes were done in black and ivory with alternating wedding dress and suit decorations. 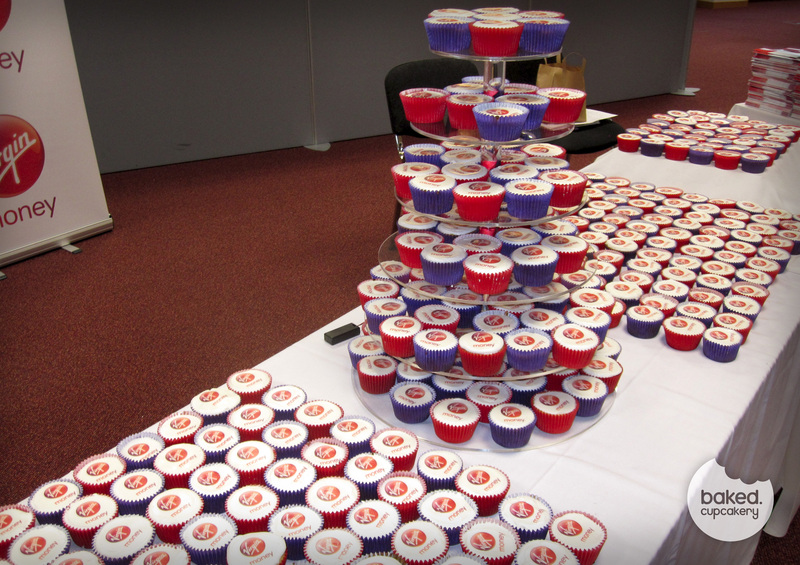 The cupcakes created a beautiful tower, the 6″ cutting cake was covered in embossed icing with a sugar flower. 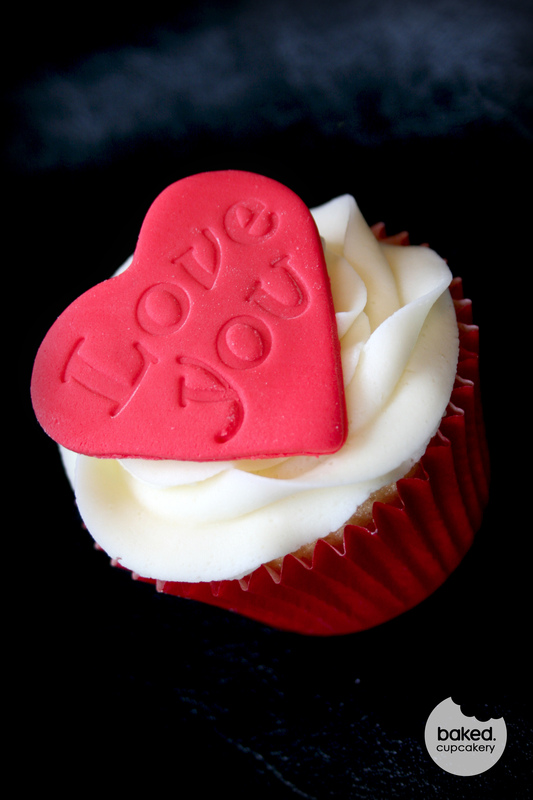 If you would like to find out more about Baked Cupcakery’s wedding cakes and cupcakes, visit the website here. 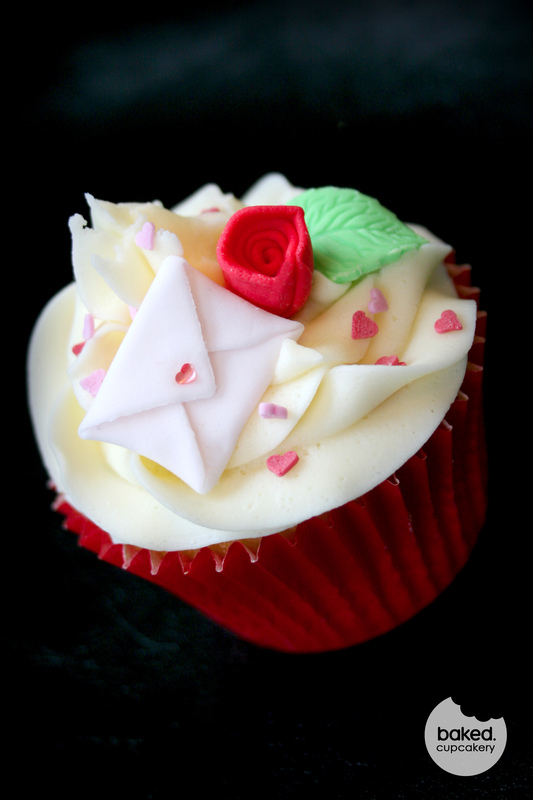 I haven’t written a little blog post for quite some time as the bakery has been just so busy. There were lots of orders at Christmas to fulfill, I felt like Santa Clause rushing around delivering everything for Christmas Eve – if only I’d had a sleigh and flying reindeer! 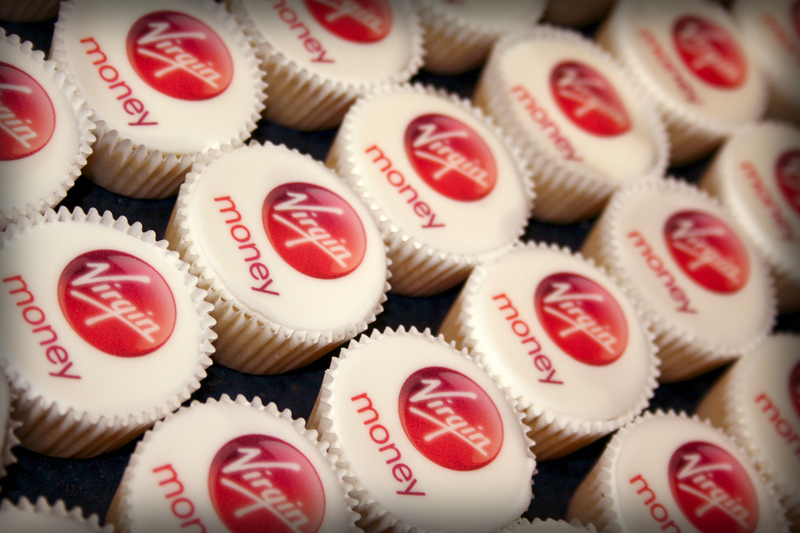 Just before Christmas I received a call from the caterers at the former Northern Rock who were in need of 2000 branded cupcakes for the launch of Virgin Money in early January. This would be the bakeries largest order! 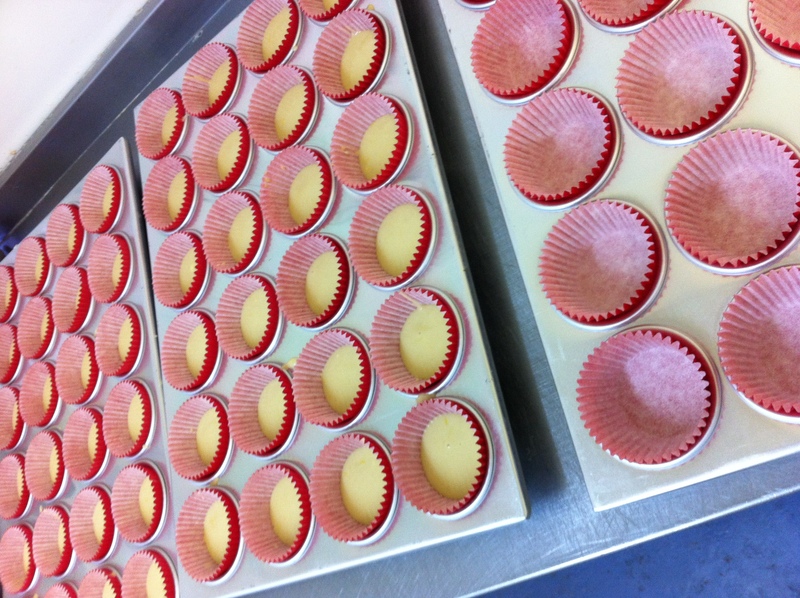 Thankfully we have access to a bakery where we are able to complete larger orders, but it was a big task by any standards. Things were made more difficult as everywhere was closing down for the festive period, so sourcing everything needed was a bit tricky. Fortunately I found some great suppliers who were able to provide everything we needed. 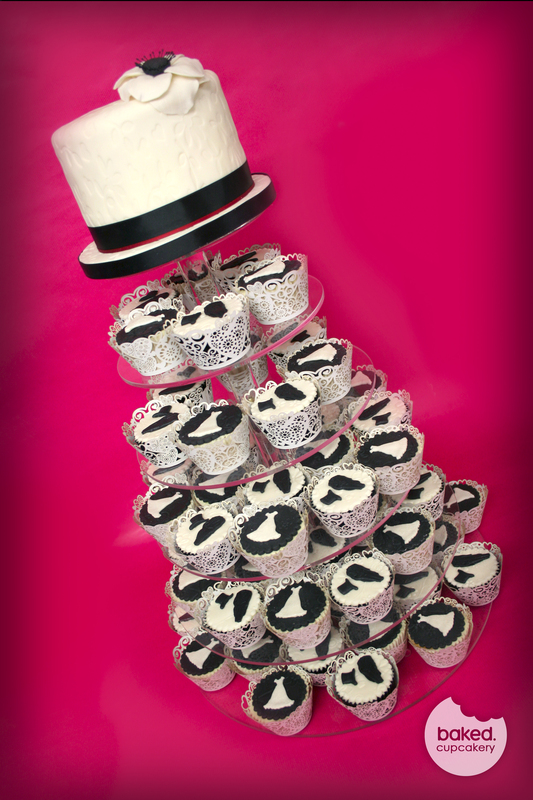 On top of these preparations there was a New Years Eve wedding to complete (beautiful 40’s inspired cupcake tower and cake topper – more on this soon!). The troops were rallied the day before the big delivery and work commenced! We started early and once the system got going we were away. 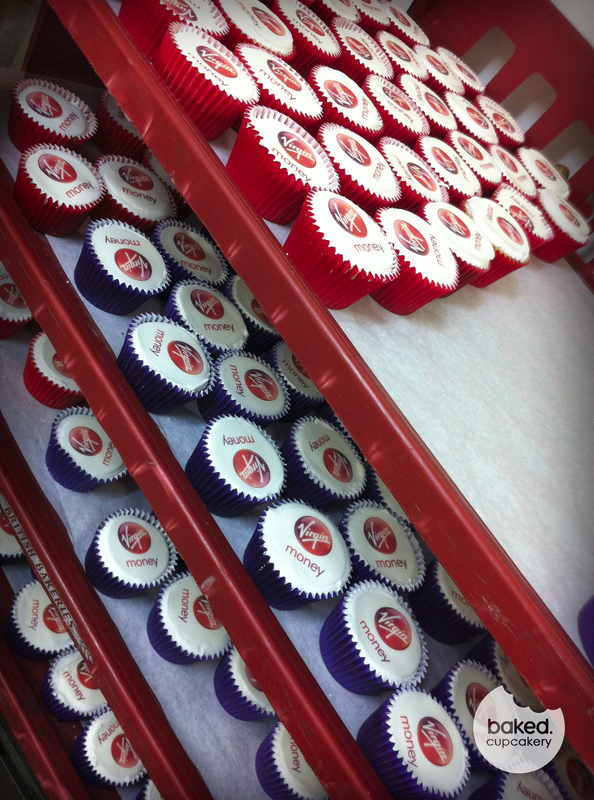 The main problem was space… as the cupcakes were completed they needed time to set before they were boxed. The van started filling up and by the time we were finished it was chock-a-block with cupcakes. Delivery went smoothly in the morning and I think everyone needed a few days to recover! 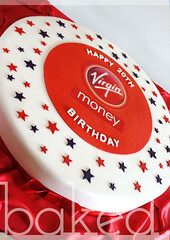 Since then I have had great feedback from the event “they went down a storm”. So good to hear after all the hard work. There has been quite a buzz about the order and I was so excited to see our story on the front of the Business news section of the Journal. I also had an interview with Real Radio which was played out on Sunday every hour! 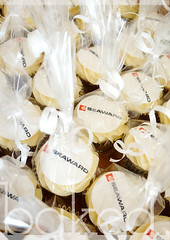 Corporate cupcakes make excellent marketing tools for businesses. 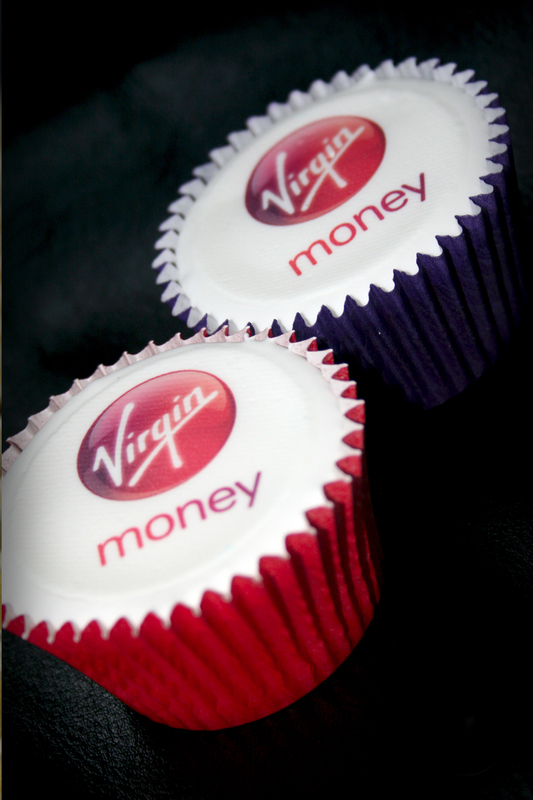 Whether it’s a product/ service launch like Virgin money and awards event like EDBS or simply to help raise brand awareness and thank customers like Bluebird Care our branded cupcakes will do the job. 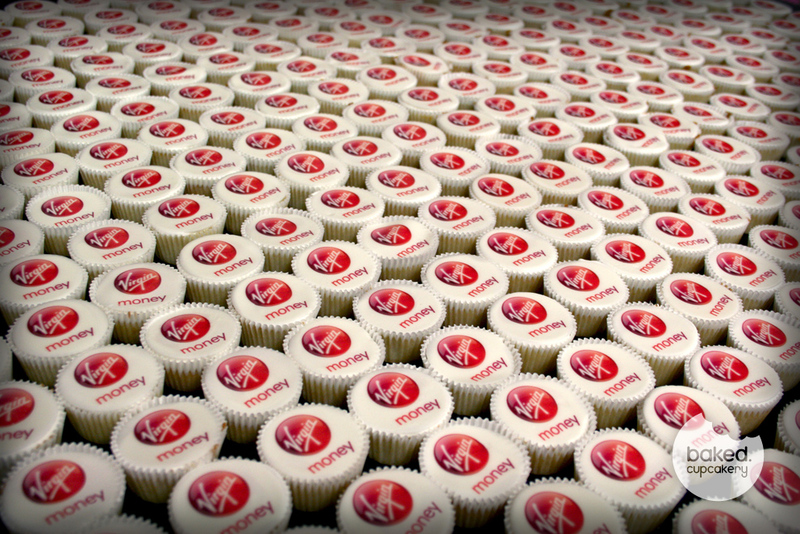 See more information on our branded cupcakes here. 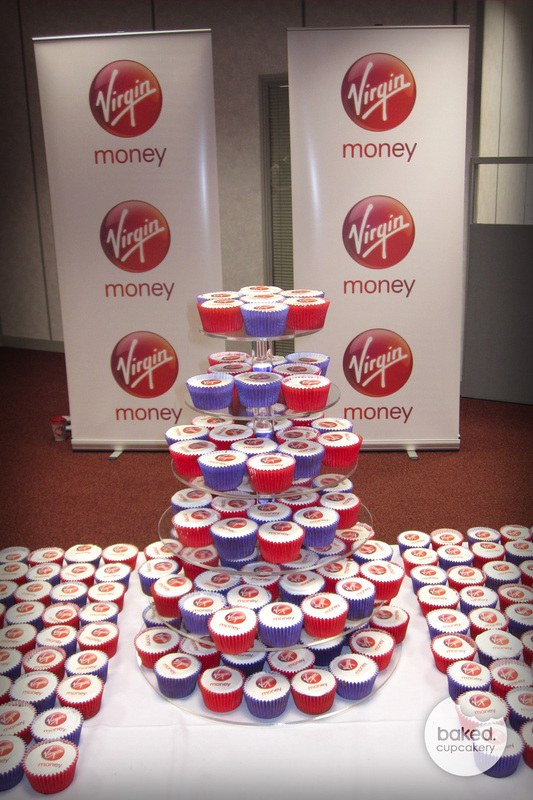 UPDATE – Here are a couple of photos I have received from the event – they look great!